This Sound Level Meter Kit from Casella features an Environmental Class 1 CEL-633 instrument with logging. Environmental models include features such as simultaneous broadband and frequency measurement and triggered 'event' capture. 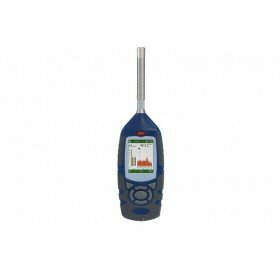 The CEL-630 series was designed to undertake the measurement requirements of noise in the workplace and environmental noise. The instruments are easy to use and comply with the latest IEC and ANSI international standards for sound level meters. All data is measured and stored simultaneously to avoid errors, ensuring the highest level of performance. Models for both environmental and/or occupational noise are available, with the availability of frequency analysis and advance functions such as data markers, timers and logging of time history data. 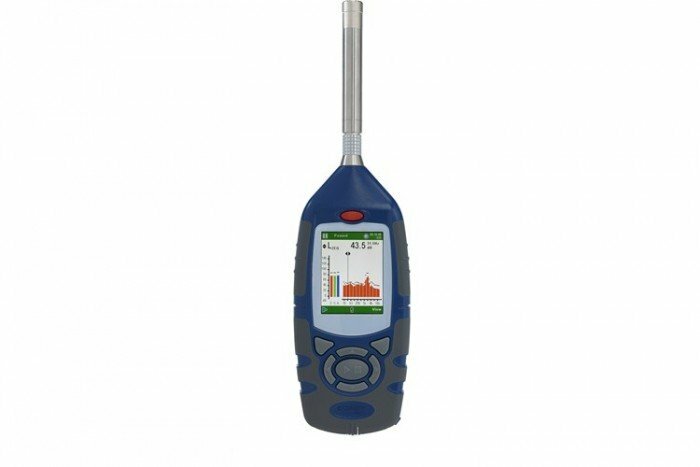 This range of Casella sound level meters can be applied in occupations noise measurement, calculation of noise exposure, selection of hearing protection or boundary noise assessments. Audio recording is a standard feature of the CEL-630 series with all models having a voice notes capability. This allows the user to speak into a microphone before or after a measurement so results can be annotated without having to be written down. Data can also be ‘marked’ during a measurement of noise in the workplace or environmental noise to signify either an anomalous or significant event. Audio is also recorded for later noise source identification. If the instrument is used for unattended measurements, audio recording can be triggered by a condition such as a given level being exceeded for a period of time. In this case additional data will be collected along with the audio which can be particularly useful where the noise source of interest is transient. Workplace noise levels and environmental noise level can be made quickly and the displayed information can be made as simple or comprehensive as needed. The calibration dates and times are stored and downloaded to Casella insight software which validates the accuracy of measurements. Other features of the CEL-630 series are the display which shows the battery status (up to 15 hours), memory capacity and measurement view selected. The memory capacity stands at 2GB which stores more than 1 year of continuous data. Memory 2GB (>1 year logging when set to 1 second interval, 999 runs). All parameters stored and accessible via Casella insight. Total measurement runs: 999. Events 999 events/run. 10 hours of audio recording in high quality mode, 60 hours in low quality mode. For long term unattended monitoring the CEL-630 takes a new run daily for up to a total of 400 days. (Class 2) Atmospheric pressure of 65 to 108kPa. Languages User interface can be changed via the menu: English, French, German, Spanish, Italian, Portuguese, Chinese. CEL-631 and CEL-633 models additionally store 5x Ln values in broadband and octave modes. Where X is the frequency weighting A, C or Z and Y represents time weighting Fast (F), Slow (S) or Impulse (I). All weightings simultaneously measured where appropriate.